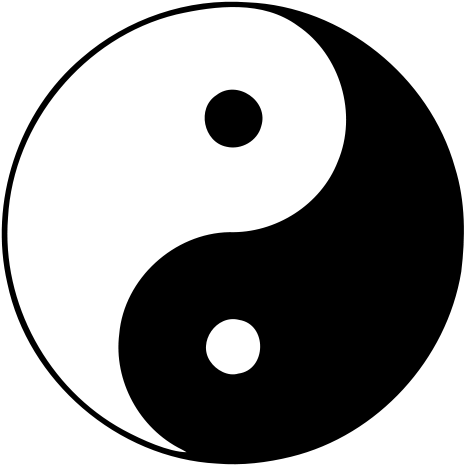 I am often reminded of the brilliant Yin/Yang symbol. I continually learn from its deep prophetic teachings. Today I was reminded of it's symbolism that shows me that even in the darkest of times there is light. More so, in the darkest of times is when the light begins. Look at the symbol, where there is the most darkness that is where the light begins. Subsequently where there is the most light is where the darkness begins. I have been really struggling as of late. I have been digging deep within and shredding apart armor and walls and letting free what is behind. I relinquish some control in order to free up space that my past repressions are taking up. I need space, you see, for I am in love. No not a person, but people, places, things, life. Deep down, even when I am at my most desperate and lost I know the everything is perfect. I am just experiencing my part of the perfection. I choose to clear out unwanted grief, pain, traumas, fears and inner garbage and replace it with love, understanding, laughs, honesty, tears and integrity.